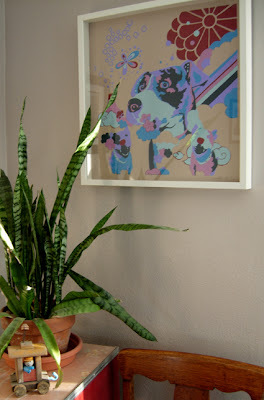 My new Keiko Yagishita print is finally home and hung on the wall. I fell in love with it last month while attending the opening of "Keiko's Remix" at Gallery 122 in Minneapolis. It's absolutely gorgeous! Excellent site by the way - always great to stumble across lovely things! I just discovered your blog and I love your art! Very nice work.